Pacifiers may stunt the emotional development of baby boys by robbing them of the opportunity to try on facial expressions during infancy, according to a new study conducted by psychologists at the University of Wisconsin-Madison. According to researchers, humans of all ages often mimic the expressions and body language of the people around them, which can be an important learning tool for babies. However, with a pacifier in his mouth, a baby is less able to mirror those expressions and the emotions they represent. Researchers found that 6- and 7-year-old boys who spent more time with pacifiers in their mouths as young children were less likely to mimic the emotional expressions of faces peering out from a video, while college-aged males who reported more pacifier use as a kid scored lower than their peers on common tests of perspective-taking, a component of empathy. 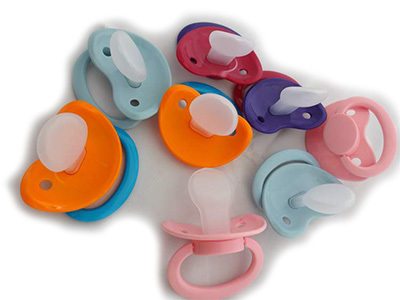 University researchers believe that since girls develop earlier in many ways, boys are more susceptible to pacifier use disrupting their use of facial mimicry; more research is reportedly planned to further explain these results.